ship. This is a 12 story high vessel capable of taking 2000 passengers together with it’s 1000 crew members. It is a huge ship! I took over the course of the two weeks. 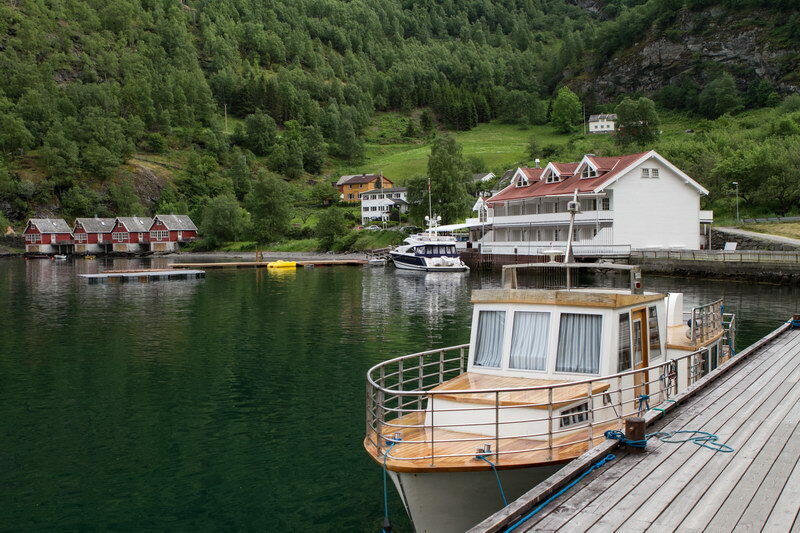 Denmark and sailed up north deep into the fjords to a little place called Flam. 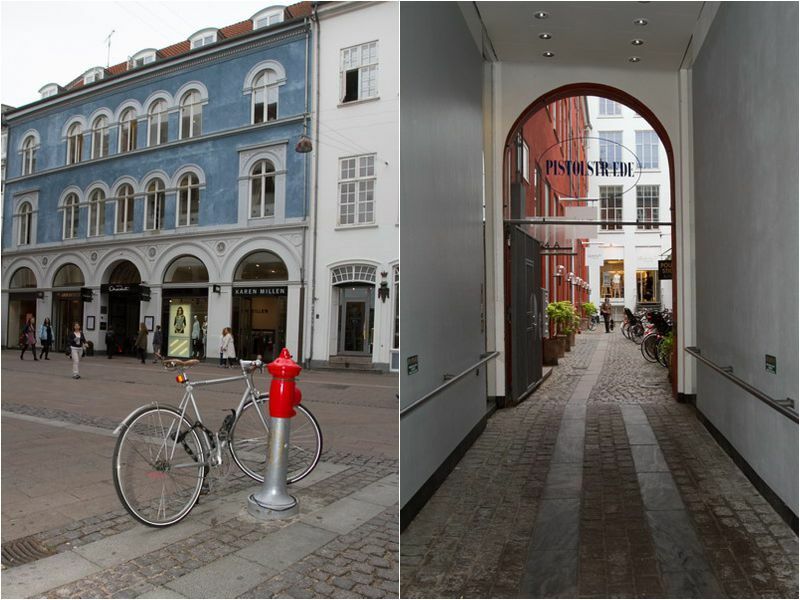 Copenhagen – a friendly city with plenty of bicycles. One of the first things to do on a trip such as this is to get organised. That means finding the best spot in my room to edit and to charge various batteries. Get the cables all connected, ensuring I have the correct adaptors for the country I’m visiting, and to also have the correct, and easy to follow naming conventions for my folders. When dealing with multiple days covering many aspects it is easy to copy incorrect images into incorrect folders. Being organised in this regard lessens the chance of mix ups. What’s the saying about the four P’s? Proper planning prevents problems. And of course I ensure that I have my backup plans in place. I travel with a 1TB external hard drive which I store in the safe in my room. At the end of each day I copy all my RAW files to this drive. I then also copy all edited images to the backup drive as I go along. On a trip such as this the routine is basically sleep, eat, photograph and edit. There is pretty much nothing else to it. Back to the trip. The first stop was this tiny town at the end of one of the fingers of the Sognesfjord. 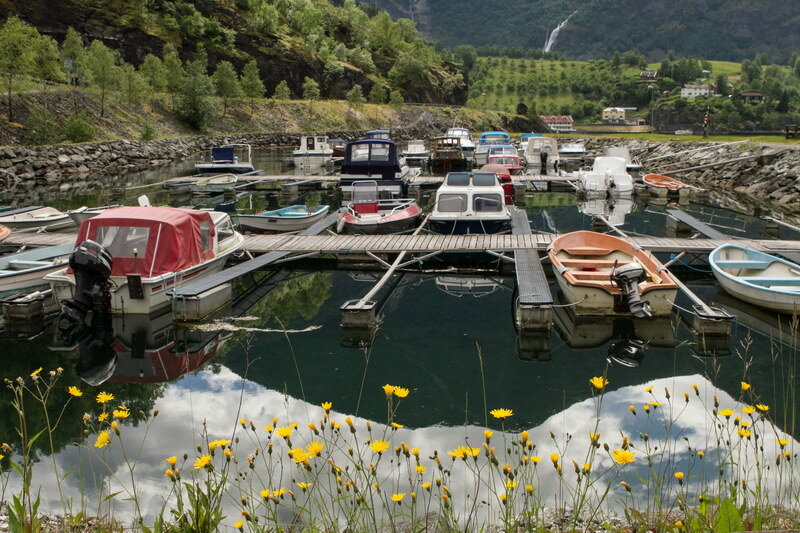 Flam has about 200 inhabitants and is surrounded by the most amazing natural scenery. I was on deck very early on the morning as we sailed into Flam to capture, and marvel, at the scenes as we cruised deeper and deeper into the fjord. 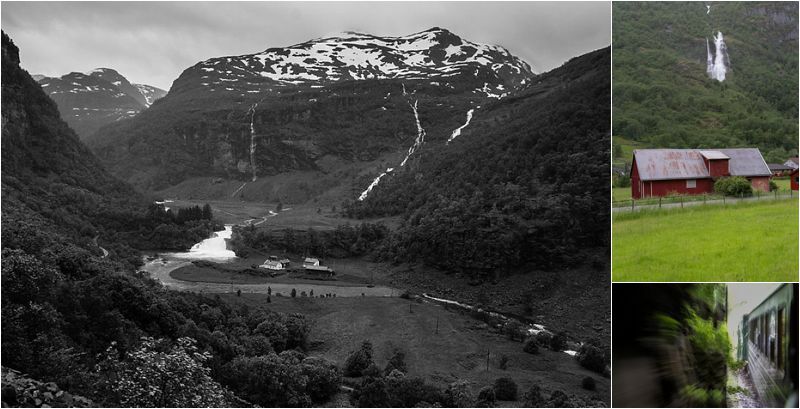 High mountains, topped with snow and huge waterfalls cascading directly into the sea. Tiny villages dotted along the coastline in the river valleys were the land was more gentle. 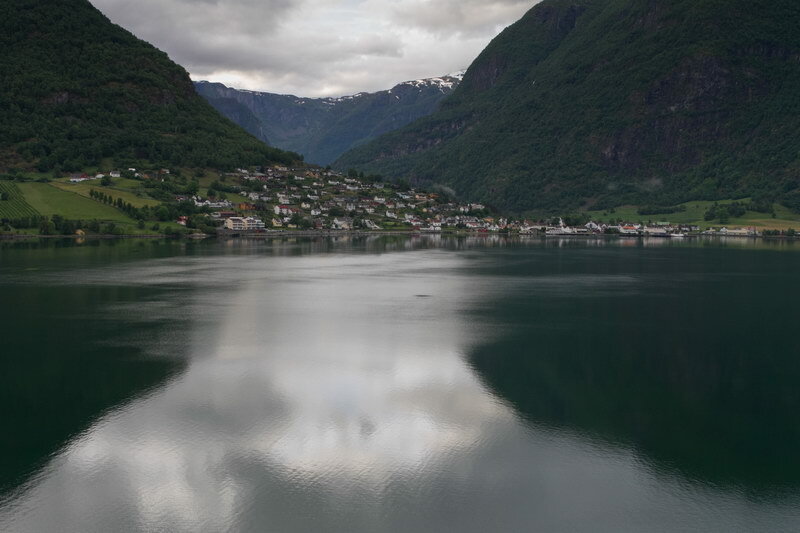 We visited Flam for the day where I got to visit the neighbouring town of Aurlan and also took a walk along the edge of the bay enjoying the sites and the quietness of the place. After Flam we visited the town of Bergen. Although Bergen is Norway’s second largest port it still holds a quaintness about it. The town is well known for it’s fish market and the Bryggen area which is a Unesco world heritage site. It was at the fish market that I was offered a taste of whale meat. I declined. The fish market in Bergen, Norway. 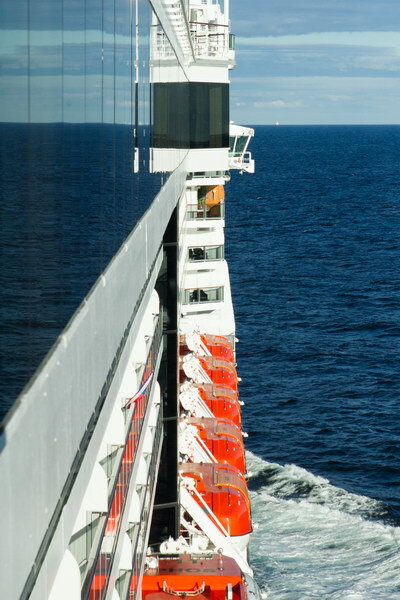 From Bergen we headed to Kristiansand. Another quaint seaside town in Norway housing a lovely cathedral in the centre of town. 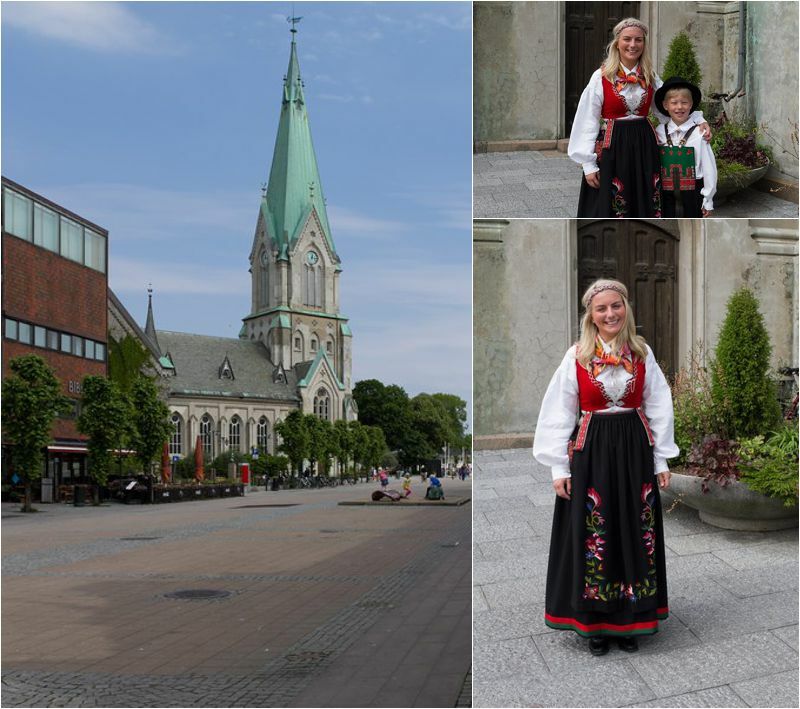 I arrived at the cathedral just as the morning service ended and in amongst the patrons were a few people dressed in traditional Norwegian costumes. I presumed they were dressed like that as a tourist attraction for the guests of the ship. So did the guests who had numerous photos taken posing with the “models”. I too got in on the act and had them pose for me – all the time though thinking they were not too comfortable in front of the camera. When I saw them enter the cathedral with a baby in a pram I realised they were there for a Christening and I presume the costumes were part of their tradition at Christenings – they were not “dressed up” for the tourists at all, just regular Norwegian folk going about their Sunday. 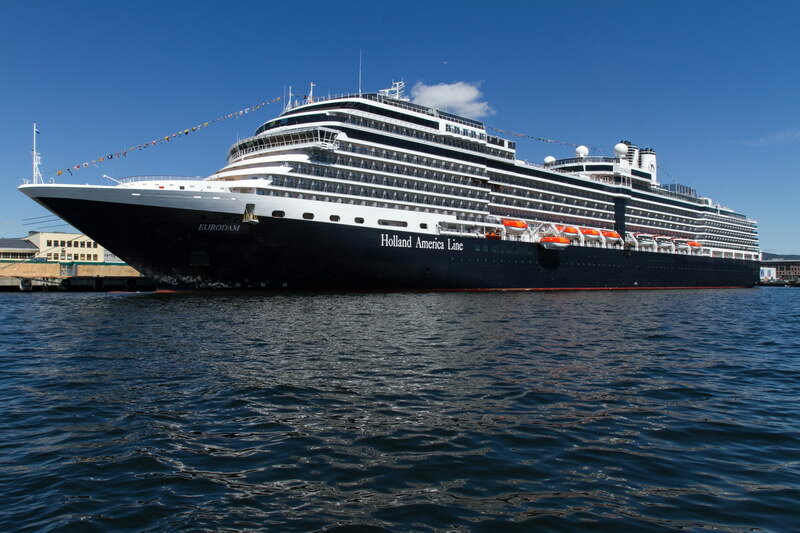 After leaving Kristiansand we cruised to Oslo where we docked for the day while delegates from session one left the ship and the new delegates boarded. 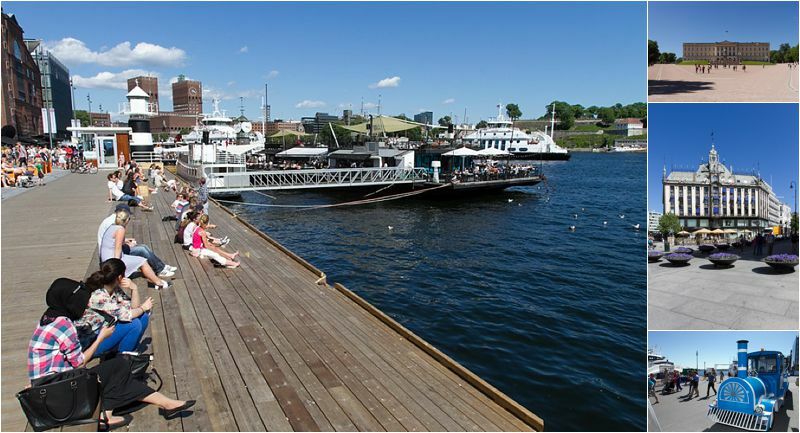 It was a beautiful day in Oslo with blue skies and 27 deg C temperature – a heat wave for Norway. 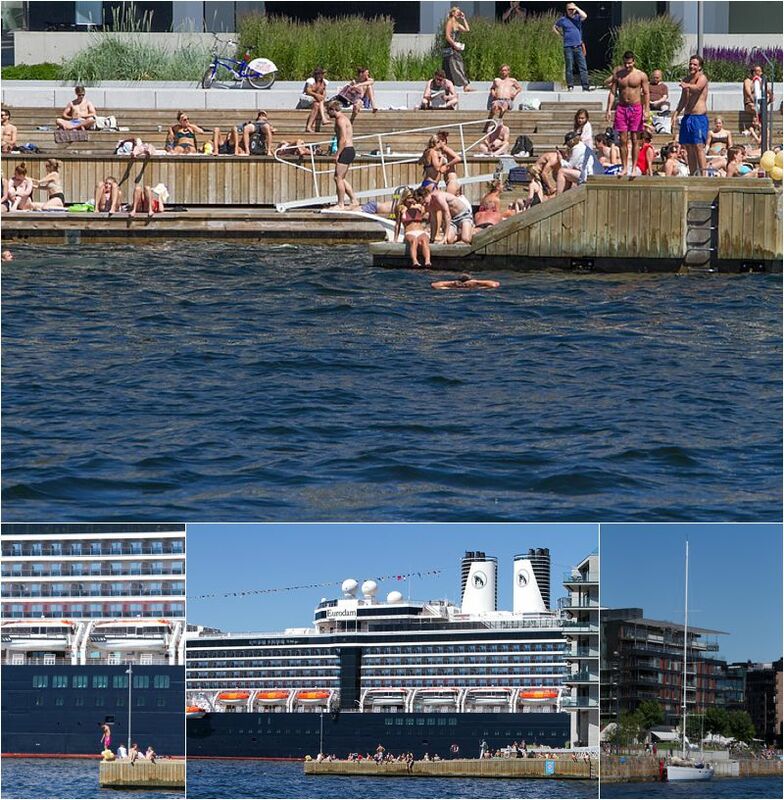 It was also a public holiday and so many people were making use of the great weather to laze about in the parks and at the local waterfront – Aker Brygge. I got to do a tour of the harbour – in the garbage collecting vessel! The water in the harbour was incredibly clean with some folk even swimming. I also got to do a walkabout in Oslo city for a couple of hours before the ship left. On leaving Oslo we traced our route back and visited the same towns we had visited the week before – deja vue. 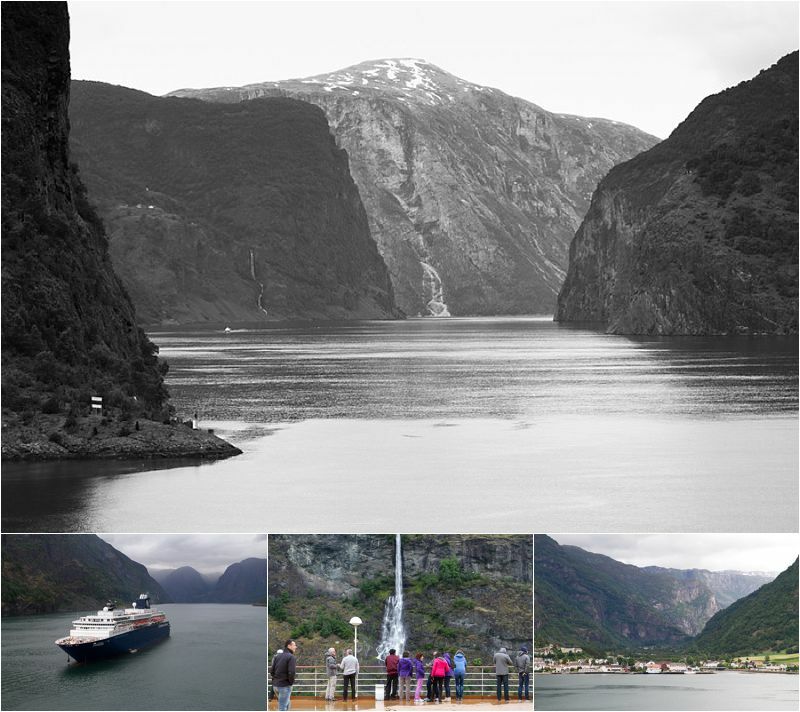 The weather was not overly kind to us with rain in both Bergen and Flam. While in Flam I joined the train excursion which took us up the valley and through about 20 tunnels before turning round and traveling back down the valley. The natural scenery was incredible with rushing rivers, waterfalls, lots of greenery and some snow on the top of the mountains. On top of the world – in more ways than one. The scale and beauty of the scenery is difficult to portray. Leaving the fjords for the last time. I stood on deck for ages trying to take it all in. On the final night of the commission I enjoyed a hectic shoot of photographing the gala dinner which meant photographing 1000 or so people spread across about 200 tables. This needed to be done in variable light with the sun reflecting off the sea in one corner to the dark corners on the other side of the room. At the end of this shoot I treated myself to an ice cream, as one does when ice cream is available 24×7, and took in this view while enjoying the cone. 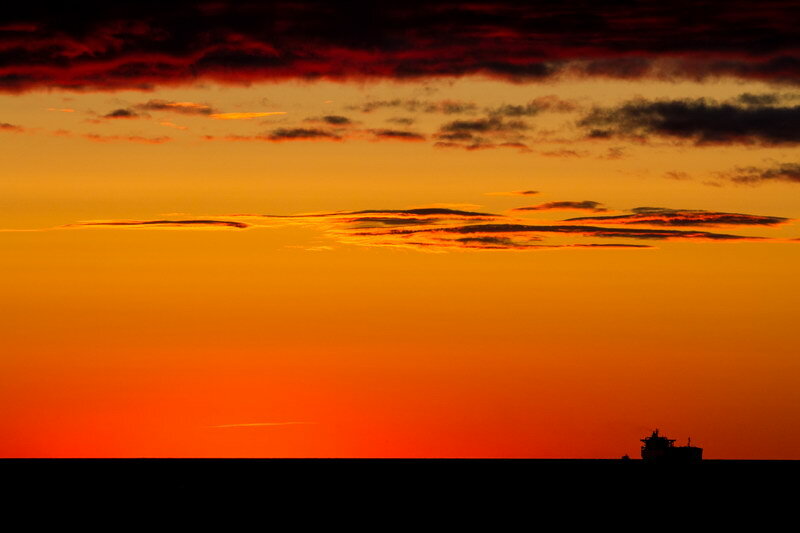 The land of the midnight sun – well almost. This photo was taken at around 10:30pm as we were cruising back to Copenhagen. All in all this was an event on steroids. It was impeccably organised and a pleasure to photograph both the scenery and the delegates. Till next time.